Keysight Streamline Series USB Instruments | Test Solutions Ltd. Different instrument form factors are used for each of the various design and test phases in a project to increase efficiency. Many engineers believe their only choices for high performance measurements are large bench instruments, or modular choices. The USB platform is a popular option for anyone needing a small, portable device. However, most USB instruments available are not comparable to benchtop performance, and utilize a different user interface (UI). Having inconsistent measurements and automated coding between each platform makes the transition between each development phase more time intensive due to the learning curve and adjustments that must be made. This ultimately extends the time needed to develop a product – which is never good. 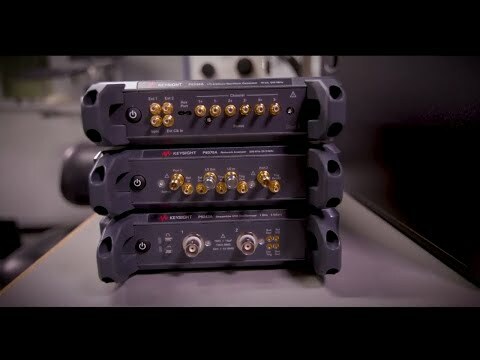 With the new Keysight Streamline Series, you can expect a common UI, measurement capabilities, and automated code between all form factors: USB, benchtop, and modular. This allows you to move between product development phases more efficiently and effectively since knowledge and data can easily be transferred among the various platforms. With the same applications and accuracy as comparable benchtop instruments, the new Keysight Streamline Series is the perfect compact USB option. It is portable, easy to use, and there is zero compromise in performance. Learn more about how the new Keysight Streamline Series of USB instruments can help you increase efficiency in your development cycle and get your products to market faster. Follow the link above to view each of the three products: VNAs, an AWG, and oscilloscopes.